Recycling old mobile phones has been increasing in popularity recently, and it probably won't come as much of a surprise to learn that the Apple iPhone is incredibly popular, both with recyclers and recycling companies alike. Although recycling does make it sound like your phone will be melted down in a blast furnace, this isn't the case, as in reality most go on to be re-sold in developing countries where mobile networks are in their infancy. Phone recycler Envirofone says it re-sells 98-percent of the devices it receives in this way. In the rare cases that a phone is too old or broken for this to happen, it's stripped of its parts and whatever's left is recycled in the more accepted sense of the word. Find out how much your phone is worth, and if the figure is acceptable you fill in your details, wipe the device's memory and send it to them using their freepost address. On arrival, it's tested and as long as it passes, you get an email giving you a payment date and it's all done. So when is the best time to recycle? Well, the earlier the better as logically, more people want to trade-in their phones at the point when a new model has been announced and values are at their highest. This month has seen a 42-percent increase in iPhones being sold to Envirofone over the previous month. No prizes for guessing why. Bizarrely, this can mean people recycle new phones that have just been released. 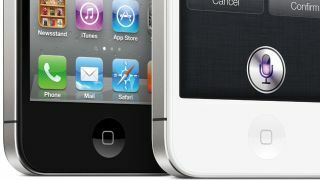 The first iPhone 4S was received by Envirofone just five days after launch and even now, 68 iPhone 5 handsets have already been traded in. The good news is that despite this influx of iPhones, out of all the major brands that Envirofone receives, Apple devices are the only ones to see an increase in the average purchase price over the past eight months. In January the average was £160, but by August, it was up to £166. Envirofone's data should warm some hearts over in Cupertino too, as 57-percent of those who trade in one iPhone, return to sell another later -- indicating once an iPhone fan, always an iPhone fan. They're well looked after too, with recycled iPhones coming second overall in the list of grade A and B devices received. Interestingly, it's HTC that comes first. Damaged phones needn't be relegated to the back of a draw either. According to Envirofone's figures, 61-percent of iPhones sent in have a fault of some description; the main problem being cracked screens and rear covers on the iPhone 4 and 4S, followed by those that have complete power failures. Damaged phones like this can still retain as much as 46-percent of their full value, with the payout for some broken iPhones still being over £100.